Jens Agerström is professor of psychology. The main fields of research are social psychology and work and organizational psychology. 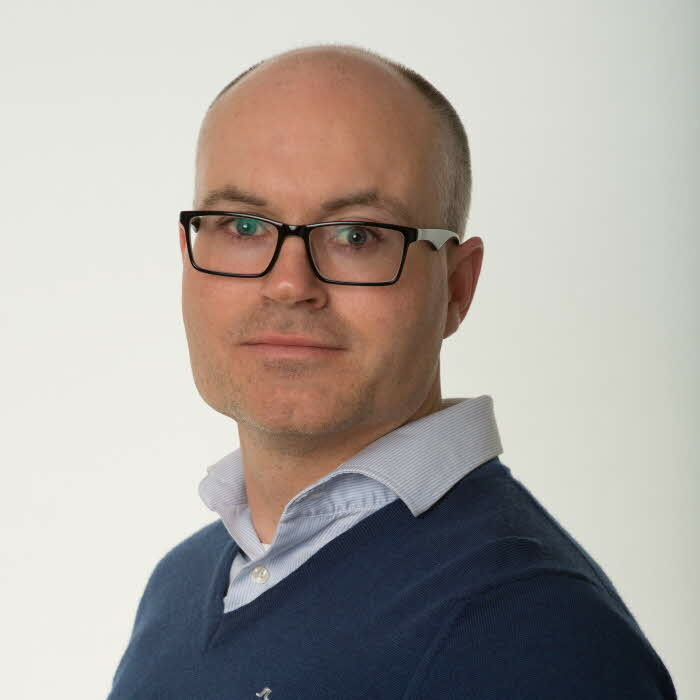 Jens is one of the research leaders of one of the university's most prominent research environments which have been designated Linnaeus University Centres: LNUC - Discrimination and Integration Studies. Han earned his PhD from Lund University in 2009 and has been held a tenure at Linnaeus University since 2012. His research falls mainly within social cognition and work and organizational psychology. One research program concerns discrimination based on e.g., ethnicity, gender, obesity, and socioeconomic status. In particular, my research focuses on implicit and explicit prejudice and stereotypes as causes of discrimination in the labor market and within the health care system. To understand how both implicit and explicit biases play out in organizational settings, my research combines methods from both social psychology and behavioral economics. A recent project examines the effectiveness of different interventions to increase diversity within organizations and in conjunction with recruitment. Another research program examines how psychological distance (e.g., temporal distance) and level of mental construal influence moral judgment, moral behavior, and anticipated emotional reactions. I also study social norms and altruism, and more specifically the practical utility of signalling local versus global norms in the context of charitable giving. Agerström, J., Gunnarsson, H.E.M., Stening, K. (2017). Does physical pain impair abstract thinking?. Journal of Cognitive Psychology. 29. 748-754. Agerström, J., Björklund, F. (2009). Moral concerns are greater for temporally distant events and are moderated by value strength. Social cognition. 27. 261-282. Agerström, J., Carlsson, R., Nicklasson, L., Guntell, L. (2016). Using descriptive social norms to increase charitable giving : The power of local norms. Journal of Economic Psychology. 52. 147-153. Agerström, J., Stening, K., Axman, O. (2019). Pain here and now : physical pain impairs transcendence of psychological distance. Journal of Pain Research. 12. 961-968. Lindersson, L., Guntell, L., Carlsson, R., Agerström, J. (2019). Reassessing the impact of descriptive norms on charitable giving. International Journal of Nonprofit & Voluntary Sector Marketing. 24. 1-6. Gunnarsson, H.E.M., Agerström, J. (2018). Clinical pain, abstraction, and self-control : being in pain makes it harder to see the forest for the trees and is associated with lower self-control. Journal of Pain Research. 11. 1105-1114. Carlsson, R., Agerström, J., Williams, D., Burns, G.N. (2018). A Primer on the benefits of differential treatment analysis when predicting discriminatory behavior. Quantitative Methods for Psychology. 14. 193-198. Al-Dury, N., Rawshani, A., Israelsson, J., Strömsöe, A., Aune, S., et al. (2017). Characteristics and outcome among 14,933 adult cases of in-hospital cardiac arrest : A nationwide study with the emphasis on gender and age.. American Journal of Emergency Medicine. 35. 1839-1844. Carlsson, R., Agerström, J. (2016). A closer look at the discrimination outcomes in the IAT literature. Scandinavian Journal of Psychology. 57. 278-287. Gunnarsson, H.E.M., Grahn, B., Agerström, J. (2016). Impaired psychomotor ability and attention in patients with persistent pain : a cross-sectional comparative study. Journal of Pain Research. 9. 825-835. Gunnarsson, H.E.M., Grahn, B., Agerström, J. (2016). Increased deep pain sensitivity in persistent musculoskeletal pain but not in other musculoskeletal pain states. Scandinavian Journal of Pain. 13. 1-5. Agerström, J. (2014). Why does height matter in hiring?. Journal of Behavioral and Experimental Economics. 52. 35-38. Agerström, J., Björklund, F. (2013). Why people with an eye toward the future are more moral: The role of abstract thinking. Basic and Applied Social Psychology. 35. 373-381. Nordhall, O., Agerström, J. (2013). Future-oriented people show stronger moral concerns. Current Research in Social Psychology. 19. 52-63. Agerström, J., Björklund, F., Carlsson, R. (2013). Look at yourself! : Visual perspective influences moral judgment by level of mental construal. Social Psychology. 44. 42-46. Agerström, J., Björklund, F., Carlsson, R. (2012). Emotions in time : Moral emotions appear more intense with temporal distance. Social cognition. 30. 181-198. Agerström, J., Björklund, F., Carlsson, R. (2011). Gender differences in implicit moral orientation associations : The justice and care debate revisited. Current Research in Social Psychology. 17. 10-18. Agerström, J., Björklund, F., Allwood, C.M. (2010). The Influence of Temporal Distance on Justice and Care Morality. Scandinavian Journal of Psychology. 51. 46-55. Agerström, J., Björklund, F. (2009). Temporal Distance and Moral Concerns: Future Morally Questionable Behavior is Perceived as More Wrong and Evokes Stronger Prosocial Intentions. Basic and Applied Social Psychology. 31. 49-59. Agerström, J., Möller, K., Archer, T. (2006). Moral reasoning: : The influence of affective personality, dilemma content and gender. Social behavior and personality. 34. 1259-1276. Agerström, J. (2011). Implicit obesity bias predicts real hiring discrimination in the labor market. Annual meeting of The Society for Personality and Social Psychology. Agerström, J., Björklund, F. (2009). Temporal distance increases moral blame: The meditational role of attribution bias. .
Agerström, J., Björklund, F., Allwood, C.M. (2007). The influence of temporal distance on moral judgment and reasoning. .
Agerström, J., Björklund, F. (2013). Temporal construal and moral motivation. Handbook of Moral Motivation: Theories, Models, Applications. Rotterdam, Sense Publishers. 181-196. Agerström, J. (2008). Temporal Distance and Morality: Moral Concerns Loom Larger in the Distant Future. Doctoral Thesis. Agerström, J., Carlsson, R., Nicklasson, L., Guntell, L. (2015). Descriptive social norms and charitable giving : the power of local norms. Linnaeus University Centre for Labour Market and Discrimination Studies. 19. Carlsson, R., Agerström, J. (2015). Methodological issues in predicting discrimination from attitudes, prejudices, and stereotypes. Linnaeus University Centre for Labour Market and Discrimination Studies. 26. Carlsson, R., Agerström, J. (2015). A closer look at the discrimination outcomes in the IAT literature. Linnaeus University Centre for Labour Market and Discrimination Studies. 33. Carlsson, R., Sinclair, S., Agerström, J. (2013). The Role of Prototypes and Same-Gender Bias in Attributions to Gender Discrimination in Hiring. Linnéuniversitetet. 64. Agerström, J., Carlsson, R. (2013). Why does height matter in hiring?. Linnéuniversitetet. 12. Agerström, J., Björklund, F., Allwood, C.M. (2009). The Effects of Time and Abstraction on Moral Concerns. Lund, Lund Psychological Reports. Virtanen, T., Agerström, J. (2000). Three Studies of Learner Discourse: Evidence from the International Corpus of Learner English. Växjö, Växjö University Press. 139.